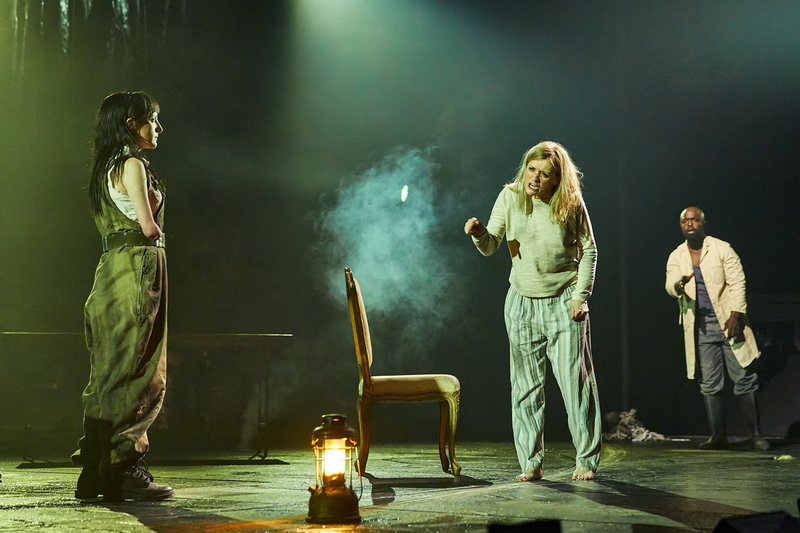 Nadia Albina as Gentlewoman, Anne-Marie Duff as Lady Macbeth and Michael Balogun as Doctor in Macbeth at the National Theatre in London. Initially inspired by Gordon Ramsay's Kitchen Nightmares and his own love for food, Balogun decided if he could get out of prison and save up some money, he might be able to open his own restaurant. Balogun kept himself out of trouble long enough to get moved to another prison with a work release program and took a job at the Royal Academy of Dramatic Art. When Balogun arrived at the drama school, his first job was to chop vegetables to help prepare for lunch, but he says his slicing and dicing technique was not quite fast enough for the chef, so he transferred to the bar. "What this allowed me to do was it meant that I was in contact with the students and some of the teachers, and then, my manager at the time who worked on the bar — she was like, look. 'Michael, when it's quiet, you can go and watch some of the shows these guys are doing,' " he says. The first play he saw was Shakespeare's Measure For Measure, but it was set in New York. He says the performance really changed his perception of what Shakespeare could be. "Normally, when I thought of Shakespeare, I just thought of people in tights running around speaking really posh, speaking like quite the Queen's English," he says. When Balogun would go back to prison after working, he would tell the other men about what he saw and act scenes out for them. After one of those performances a friend of his approached him and said, "Michael, you know what? I think you might be an actor." It wasn't just his prisonmates who saw his talent. Balogun says he would often run lines with students who would comment on his natural instinct for the text. But Balogun's work at the drama school came to an end when he tried to smuggle a phone back into prison and was sent to another location with closed conditions. "I felt like I'd messed up another opportunity that was given to me," Balogun says. "I was kind of at rock bottom, and because I'd messed up so many opportunities in my life, I decided that if I didn't figure out what I was going to do that night, I was going to hang myself." But something stopped him from taking his life and Balogun says he knew from that moment on that he wanted to pursue acting. When a psychiatrist came to visit him the next day, Balogun told her his plan. By chance, she was also a part-time drama teacher and believed in him. "She started bringing me in classical plays like Shakespeare, Marlowe, Oscar Wilde, American plays — Arthur Miller, everything," he says. Upon his release, Balogun tried to figure out how to pursue acting, but when he didn't know how to get a student loan, he went back to selling drugs to save up money for acting school. Only once he was caught and sent to prison again did Balogun realize he had to completely leave criminal behavior behind. Eventually, he got into the Royal Academy of Dramatic Art. He trained and then signed with an agency. His first big break came when he got a role in People, Places And Things -- a story that revolves around drug addiction. Now Balogun has a role in The National Theatre's production of Macbeth, as the doctor who observes Lady Macbeth sleepwalking. 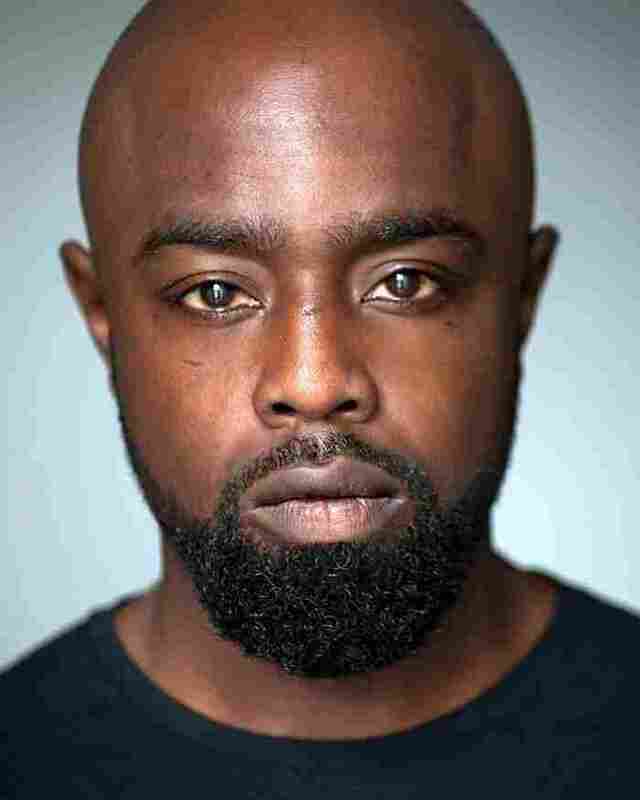 As his life has changed while he pursued acting, so did Balogun's relationship to Shakespeare. "That genius just captured the human condition in its raw essence," Balogun says. "In Macbeth, this guy is so ambitious, and he wants it all, but he goes around the wrong means about getting it. These were all things that I could directly connect to because of my criminality and because of my circumstances." The film of the Macbeth production in which Balogun performed Thursday will be screened in select U.S. theaters May 17. NPR's Marc Rivers and Martha Wexler edited and produced this story for broadcast. Wynne Davis adapted it for the Web.